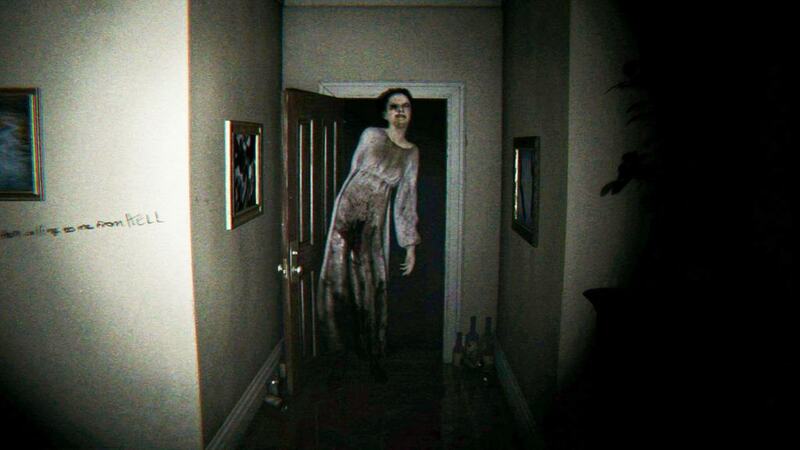 Home Gamemoir Classics	P.T. and the Revival of Horror Games? While browsing through the various announcements made at gamescom, I couldn’t help but marvel at the continued announcements and seeming buzz around horror games. In fact, it caused me to ruminate on the horror genre as a whole over the past few years. Doing so has led me to believe that, after practically an entire generation underground, the horror genre is finally ready to march back, triumphantly, into the living rooms of millions to scare and to titilate. And that was before I played through the incredibly well done, and shocking P.T. So, come with me, if you dare, as we look at how this generation might be the time where darkness reigns and kiddies are too scared to come out from underneath the blankets. Horror as a genre really arose out of the industry shift to 3D. There were horror games before, of course, but releases were few and far between, and the 2D plane limited emersion. With the third dimension came a whole host of developers trying to scare players’ pants off. Games like the original Resident Evil trilogy, Silent Hill, Parasite Eve, Clocktower, etc, grew and showed the world that video games can inspire terror better than any movie can. Unfortunately, as publishers began exercising more and more control over the industry, this slowed down. The horror genre was in pretty bad shape last generation. The rising costs of creating games essentially sunk the AAA horror industry. Old genre favourites such as Resident Evil had already been phasing out horror in favour of an action approach in order to hit a wider audience. New IPs such as Dead Space didn’t take long to devolve into action shooters in the same vein. The few horror games that did come out were, predominantly, not that great. Siren: Blood Curse was a weak game, and, although, I was a big fan of Silent Hill: Downpour I was in the minority, and the quality of the Silent Hill series’ other games were somewhat suspect. Publishers didn’t seem interested in horror anymore. With fewer and fewer releases and the big guns seemingly giving up, the horror genre looked like it was going to fold up into the tiniest niche there was. Then, some industrious people thought that they’d make their own horror games. And thus, the simplistic, yet terrifying Slender was born, and Amnesia: The Dark Descent. If publishers weren’t going to put out horror games, then fans of the genre would. So, how is this possible now and not years ago? I chart the reasons behind this resurgence as being the massive growth in the indie sector of the industry. These developers are often less interested in what is profitable than what is the game they want to give to the world. It has never been easier for an independent developer to create, market and release their games to a wider audience, which has led to much greater success than was previously possible. The right factors coming together can save a flagging genre. Before the Wii was released, the light gun genre was essentially dead. It had thrived too much on arcades, and the death of these hubs of gaming activity signalled a slow and painful road into sleep for the genre. Then the Wii was released. Its motion controls worked exceptionally well with light gun games. So, House of the Dead ported its games over including creating the wonderfully insane House of the Dead: Overkill. Capcom even got in on the action with Resident Evil: The Umbrella Chronicles, and Darkside Chronicles. The factors that allowed the light gun genre to have a comeback didn’t last as the Wii’s motion controls were not the industry changing event everyone once thought. However, I don’t see independent developers closing up shop anytime soon. So, where does that leave the industry? We are at the point where Hideo Kojima can troll the entire gaming community with the likes of P.T. and, when we find out it’s a Silent Hill game, the internet loses control. Nobody cared about Silent Hill: Downpour. I know that Guillermo Del Toro, Norman Reedus, and Kojima himself have something to do with the hype, but it’s still impressive. When Shinji Mikami announced that he was going back to pure survival horror with The Evil Within, people didn’t yawn, wishing he’d go action like the newer Resident Evil games. Instead, people cheered. Hell, even Fatal Frame is coming back on the Wii U. But, ignoring these big name games, we now have a slew of indie horror games to keep the horror fans among us busy while they wait for big releases. Now, this could all explode in our faces. If these games prove to be unprofitable, then big studios will once again take a few steps back from the genre. However, even if this happens, there are a lot of horror fans in line, ready to take up the mantle of responsibility. Oh please, oh please make this revival happen. There’s so much more that could be done in modern gaming with horror and I need to get back on the bandwagon. Problem is I’m a console gamer and the coolest stuff is on PC right now. Have you seen Five Nights at Freddys? I hear good things. I know. I’m crossing my fingers for that one. It’s true there is some great stuff on PCs only, but there’s more crossover between the two systems now more than ever, so I still have my hopes up.